Watch “Sports Inner City TV” webcast right here. Just click the screen on the right. Which features comments from a few Seahawks from the locker room of Century Link after the Seahawks/Cowboys game. PLUS watch a program from Seahawks Training Camp/Vmac in Renton, Washington. Player interviews plus hip-hop/r&b/pop music videos! Watch via smartphones, tablets, mac or pc! Special thanks to the Seattle Seahawks!! First of all I am sure many of you have never met Colin. Well I have met him and interviewed him. He has appeared on “M.I.C-TV” two times. I interviewed him a few years ago in Los Angeles at the Clive Davis Pre-Grammy Party. And he also appeared on our program a few years ago at the Body@ESPYs pre show for the ESPYs also in L.A. Interviewed by Curtis “Boss” Elerson. Kaepernick is a very intelligent young man. I am hearing and reading a bunch of crap from mostly white folks concerning Colin and his decision not to stand for the national anthem before a 49er per-season game. Ladies and gentlemen I DO NOT have a problem with Kaepernick and his protest. And if he wants to not stand for the anthem all season, I do not have a problem with that. Colin feels America has not treated African Americans and people of color well and it is the truth. Kaepernick feels America allows racial inequality. Well it is the truth. If you think racism has got better in America because the first African American President..President Barack Obama was elected and re-elected, you are wrong folks. It does not matter if you have millions like Colin or if you are homeless, a black man experiences racism in one way or another EACH AND EVERY DAY! This is a fact. When Colin says his stance is bigger than football and it would be selfish on his part to look at it any other way. I agree again with Colin. He said that he was not going to stand up to show pride in a flag for a country that oppresses Black people and people of color. He also said there are bodies in the street and people are getting paid leave and getting away with murder. Yes, many folks think Kaepernick not standing for the anthem is disrespectful to America. People are saying he picked the wrong way of taking a stance. Well who says? In his mind he feels his way was the way to get attention. I do not have a problem with his feelings. 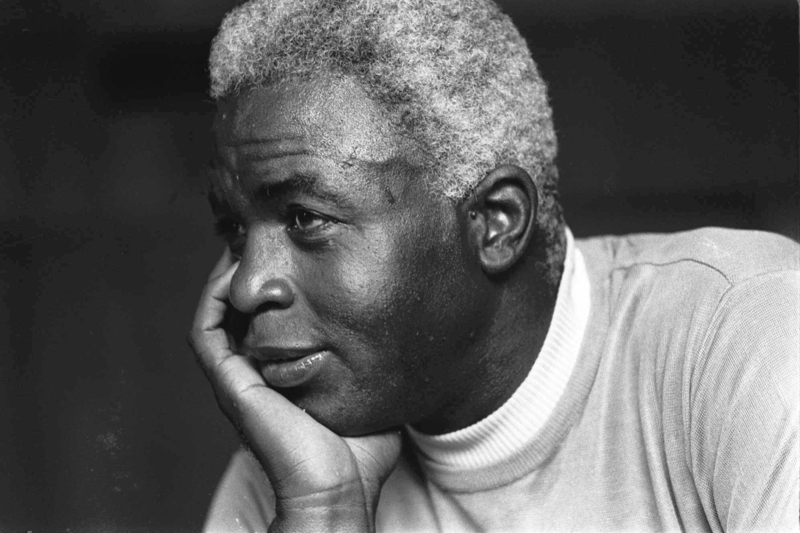 I have just learned that the great Jackie Robinson said in 1972 that he does not stand up and sing the anthem because of what black people experience in America. WOW!! Jackie Robinson said this folks!! A sports icon and legend! Now decades later, Kaepernick is basically saying what the great Jackie Robinson said decades ago. So now are certain people are going to bash Robinson in his grave? Ummm? 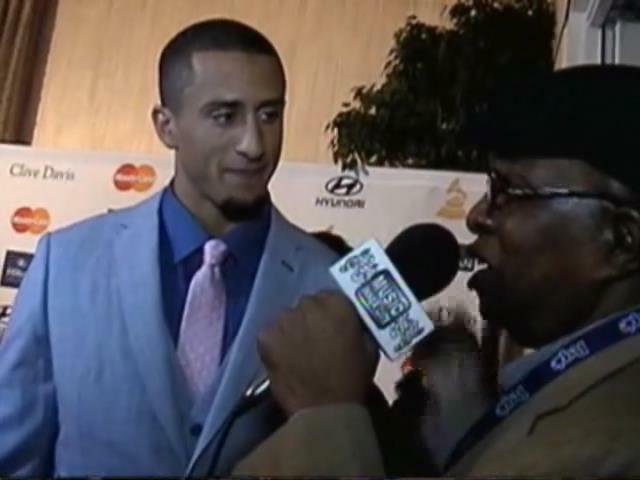 Guys like Seattle Seahawks player Richard Sherman says Colin could have picked another way of speaking up. Well I disagree with Sherman and by the way this is not the first time I have disagreed with Sherman. Real talk. A lot of times I agree with him, a lot of times I do not. Some say he has basically made his way out of the 49ers camp by taking his stance. He was in a battle for the starting QB position. Head coach Chip Kelly already has a rep for really not getting along with African American players. Would it be a good look for Kelly to cut Colin now? I would say HELL NO!! He would catch hell from the NAACP, the Urban League, Rev Al Sharpton’s National Action League and Rev. Jesse Jackson’s Rainbow Coalition. Not a good look. You know what REALLY REALLY GETS ME PISSED? It is listening to sports radio hosts who let’s keep it real, who are mainly white, TRYING to discuss a issue THAT THEY DO NOT HAVE A CLUE ABOUT!! And that is the topic of RACE AND RACISM. I just listened sports radio KJR and Dave Mahler on the Kaepernick situation. I listened to a point then I had to turn the radio off with a quickness and that is for sure. Mahler TRIED to give his CLUELESS opinions on race and racism. DAVE MAHLER AND MOST WHITE SPORTS RADIO HOSTS DO NOT HAVE A CLUE ABOUT THE EXPERIENCES OF AFRICAN AMERICANS AND PEOPLE OF COLOR IN WHITE DOMINATED AMERICA!!!!! It turned the radio off when Mahler started to take calls from KJR’s target audience….white suburb living, no African American friends or associates, no knowledge of our society or our culture listeners. Who of course would get on the radio and blast Kaepernick. Then Mahler had the nerve to have a African American former Seattle Seahawks player , Bryce Fisher on his show. I did not have to listen to know what Fisher was going to say because the brotha is a former member of the Air Force. You know he was going to disagree with Kaepernick and his protest. It again shows something I have fought for and spoken out about for years and that is the inclusion, not the exclusion of African Americans as sports jocks on sports radio. Because readers IT IS A FACT, that whites and African Americans think differently on just about EVERYTHING, including the topics of race and racism. Keep in mind readers that Colin has NOT broken any NFL rules. The 49ers released a statement supporting Kaepernick’s right to choose whether or not to acknowledge the national anthem. I saw online that some brainless clowns have burned Kaepernick jerseys to protest the national anthem. Give me a break folks. Of course the folks doing this are NOT African Americans. Today thank goodness I have heard the leading scorer of all time in the NBA and now a community activist the great Kareem Abdul-Jabbar and Seahawk player Michael Bennett and other sports stars support Colin and his protest. Including a mannwho is known for his famous protest in the Olympic’s back in the 60’s, Tommy Smith. That makes me very very happy. If you disagree me…sorry. This young man is joining Lebron, Melo, CP3, D-Wade, WNBA players and more in speaking out in there own ways about police shooting of African Americans. Readers we know it is WRONG for police getting shot and killed. THIS IS A FACT. Also a fact is this. what Colin Kaepernick said is flat out true. And that is in just about EVERY killing of a African American by cops, they have not been charged or on PAID leave!! This hurts me, it hurts Kaepernick, hurts Melo, CP3, Lebron and D-Wade and millions of other folks. YES, black on black crime is WRONG and it needs to stop. But also the killing of African Americans by police needs to stop. Sports radio hosts like Dave Mahler and others DO NOT spend time around African Americans in our community. They know NOTHING about us. They are guessing. They “wonder” about us. Guys like Dave Mahler on KJR here in Seattle NEED DIVERSITY TRAINING in a worst way!! It stands out like two left shoes the lack of knowledge guys like Mahler and other folks in the media when issues of race and racism like this Kaepernick protest comes up. So again I am proud of Colin and protest. It makes me proud to see a man who in reality can take his millions and say f..k black folks! And not say anything about race or racism like Tiger Woods. Micheal Jordan in a surprise to everyone, recently donated to African American organizations and even spoke out about black folks getting shot by police as well as police getting shot. Colin can just get his millions, drive his Jag or Benz and be happy. He has decided not to do that!! He cares about the plight of black people. The NBA and now the NFL. I am waiting on a few African American Major League Baseball players to stand up and speak out. Let’s see if this will ever happen. Until that time, shout out to Colin Kaepernick. A brotha who even with MILLIONS in the bank has not forgot where he has come from. That is a good look! !